$0.69 to $32.99 & FREE Shipping on orders over $59 $35. 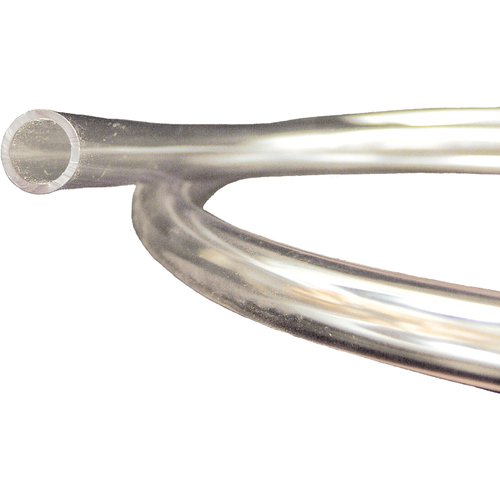 Thin walled tubing perfect for siphoning or tranferring liquids when not under pressure. This is the most common size hose for homebrewing that you would need to fit onto the plastic spigots (FE347), 3/8'' OD bottle fillers, and the 3/8'' OD racking canes. Because one can never have too much vinyl tubing, no? Simple tubing. Easier to order new tubing than trying to clean it out all the time. More convenient than visiting hardware center. Because beer does't fly through the air. Tubing for transfer from wort chiller to primary fermenter. Ease of transfer from bucket to secondary fermentation. not much to say about tubing other than it fit. It arrived very quickly and was just what I ordered. I frequently replace my tubing the 5 foot lengths is perfect for me.